Edward James Olmos (Battlestar Galactica) has been confirmed as a cast member in Machete Kills, starring Danny Trejo. Rosie Huntington-Whiteley(Transformers: Dark of the Moon) is set to join the cast of Mad Max: Fury Road. Jason Mantzoukas (The Dictator) joins the David Wain-directed comedy, They Came Together, with Paul Rudd and Amy Poehler. There is no word yet on what role Olmos has in the film, which just started shooting this week. The picture also stars Mel Gibson, Amber Heard, Jessica Alba, Michelle Rodriguez, Sofia Vergara, Demian Bichir and of course, Trejo himself. 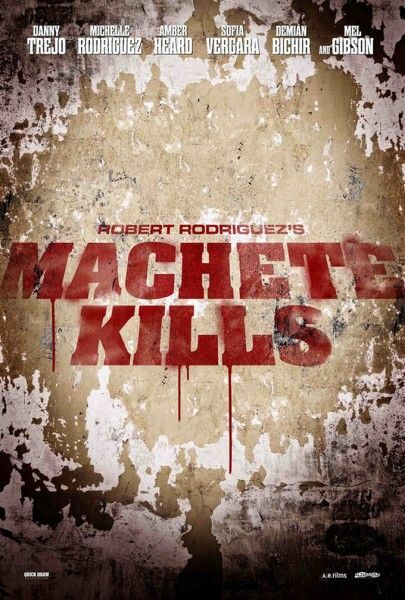 Look for Machete Kills to open sometime in 2013. Keough and Kravitz recently flew to Namibia, Africa for the start of the shoot. Mad Max: Fury Road also stars Tom Hardy, Nicholas Hoult and a shaven-headed Charlize Theron. Finally, from Deadline comes news that Mantzoukas will join They Came Together as Rudd’s character’s best friend. Written by Wain and Michael Showalter, They Came Together is a satire of romantic comedies that follows Molly (Poehler), the owner of a knick-knack shop, who is about to be run out of business by a corporate competitor, run by Joel (Rudd). Look for They Came Together to debut in 2014.